Recently, on two separate occasions, I professed I was a writer. Each time, my declaration startled me. I quickly fumbled and confessed that my writing consisted of note writing and blogging. I made certain the people to whom I was speaking knew I was neither a published writer nor a paid writer. What triggered my claim? My boys. See, I was meeting with their teachers, and both teachers made a point to say that the boys had a passion for writing. According to the teachers, my oldest loves writing in his journal at school, and my youngest loves writing notes throughout his school day. I can attest to the love my boys have for writing. They continue their writing when they are home. In fact, we had to pull Joe from his writing this morning, so we could get to school in time. Their creations are not limited to stories, either. Charlie loves to draw pictures. His favorite assignment in class is having to draw a picture based on a sentence written by the teacher. His teacher informed me that later in the year, she draws a picture and asks the kids to write a sentence or two about the picture. I look forward to that task. The writer in me is excited to see what Charlie will create. Yes, the writer in me. Now Joe … Joe does not limit his writing to stories. Joe loves to write equations and create worksheets. Truth be told, when home, Joe creates more worksheets and equations than stories. I was surprised when his teacher informed me he looks forward to writing in his journal every day. She added that she was very impressed with his storytelling skills. The writer in me is proud of Joe. When the teachers shared the above information with me, my heart swelled. I was thrilled to see my sons shared with me a passion for writing. Then, to the teachers I professed with confidence, “I am a writer.” Sure, I back-peddled a bit, but saying ‘I am a writer‘ out loud felt wonderful. Writing brings me pleasure. Writing allows me a chance to explore and try to understand the ways of the world. Writing helps me find peace. Writing lets me tap into my inner creativity and sense of humor, both of which are filled with craziness. As a result, regardless of how many people read what I write, I will continue to write. Read my words: I am a writer. One day I might be as brave as you are and say those words out loud, too. You can do it – you should vlog it. Do it. Speak the words. Then you can write about it, too! Hello, Amy! Welcome to the neighborhood. Thank you for stopping by and leaving a comment. I appreciate the gesture. The fact that you keep your ideas recorded is what matters most, Amy. Then, should writing an entire story become a priority, you are prepared. 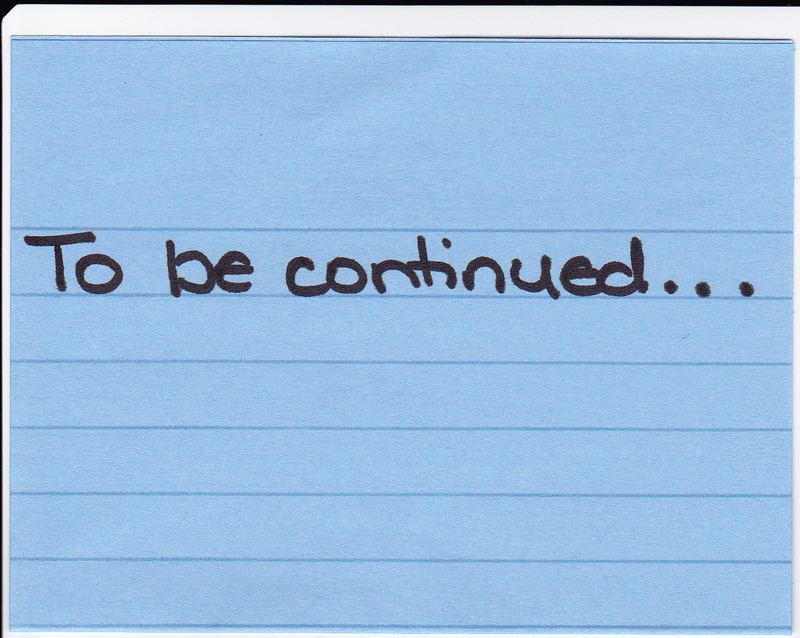 In the meantime, keep writing down your ideas. Everything gets started with an idea. Thank you again for visiting. Thanks for the encouragement! Right now, I am actually writing a little every day, and my word count is building slowly but surely. It’s the first time I’ve written any fiction (aside from prompts and exercises) in about 10 years. I’m glad you call yourself a writer. I think that anyone who feels compelled to write (and actually does from time to time) has every right to call themselves that! Congrats on having two children who also share your passion! Mine hates to write, but I’m thinking that when spelling starts coming a little easier for him, he won’t mind so badly. Me too!!! I SAID IT! Woo hoo!!! Go Kim! Go Kim! You’re a writer! You’re a writer!! You are a writer, LD, no doubt about it. And I love to read your words. Thank you, PW. I am honored you enjoy reading my words; the feeling is mutual. That’s all it takes. If you write, you are a writer. Even if your words have never earned you a dime. It is an exciting/scary/blush-worthy thing to say it out loud though, isn’t it? Good for you for doing it! One time my sister and I were at a dinner with some people we didn’t know and when a lady asked what I did I answered with “Insurance Agent” cause that’s what pays the bills. My sister immediately followed up with, “No, she’s a writer and she has an awesome blog.” I’d never loved her so much as in that moment. I really like your sister, Amy. Would you show her a few of my posts – and then maybe I could go out to dinner with her and some friends? Perhaps? Maybe? Once, during a meeting, we were asked to go around the room and say something neat about ourselves. When my turn arrived, I said I wasn’t sure what was neat about myself. And yes, it really does feel good claiming the writer in me. I think this post has earned you a pint of ice cream, even if you have already consumed your quota for October! I always hating the draw a picture/write a story assignments, so my later-life emergence as a writer caught all who knew me by surprise. I find it funny that you hated doing the picture/story combination, and yet now – you create countless pictures in the minds of your readers. Saying it outloud is the best!!!! Once you convince other people, it is not so hard to convince yourself. So have you joined a writer’s group yet? Owning it is the best, Karyn. Absolutely! I haven’t joined a writer’s group yet. I should, eh? Is there a general website where you can find one in ‘your’ area? I’ll have to do some research. Ack. The thought makes me nervous. Being held accountable for my writing? Am I ready for that? 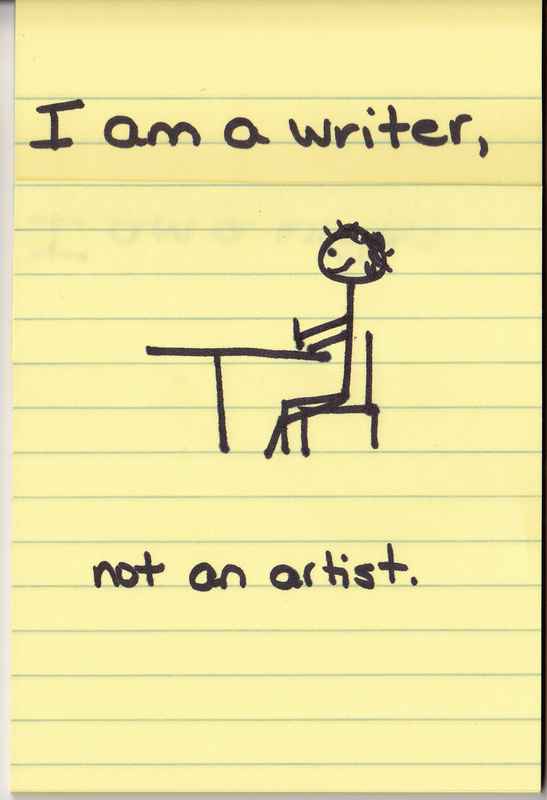 Yes, you are a writer! And I so enjoy reading your words! What a great post, Lenore. I still can’t say “I am a writer” out loud and I’m not sure why. Writing is vital to my life. I’ve been writing since I was little, making up stories and even illustrating them for my friends to see. Writing is something I feel compelled to do– I have no choice in the matter. Something deep inside wills me to get it out. Ideas will come over me suddenly and take control and I can’t rest my mind until I sit down and type it out. Very cathartic. Only recently with blogging was I courageous enough to let others (perfect strangers and all) read my innermost thoughts. Writing is laying bare your soul, the good, the bad, the sometimes ugly, so it’s no wonder all of us writers hold our words so close and are so protective of them. You know you and I are on the same page when it comes to writing. Like you, writing is vital to me. Last week I had very little time to write, and I had a frustrating week as a result. This week I’ve written three posts, and I feel settled. I am amazed how much writing appeases me. Some may feel I share too much or get too serious – but I am writing for myself in that regard. I am releasing what troubles me. By releasing it here – I find I am not alone. Very therapeutic. Thanks for reading my words, Darla. You were one of my early subscribers, and I greatly appreciate you! P.S. You most certainly ARE a writer. I hope you find the courage to speak it soon. Vlog it. (smile) Doooooooo it! You are a writer. How proud you must be that Joey is writing. What a wonderful conference with his teacher! This post follows such a neat progression coming a bit after the note Joey left for Charlie and then edited for his little reader brother. Visualize it, do it, practice it…yes, there’s a lot waiting to be continued. So much of my writing has been curriculum based in my career…this blogging is such an escape to other kinds of writing…yet my posts still reveal the forever teacher in me. So glad wp helps me organize things in categories…that helps…I can visually see what I’m writing about. Georgette, I am thrilled both Joe and Charlie are writing. I hope there love for writing continues, as I continue to write. Yes, ma’am, you are a writer. When I first read for my writer’s group last month, I prefaced my reading by saying that I was a nurse, not a writer. When I finished (to much applause) one audience member shouted “You are a writer” (and no, it wasn’t my husband, who has always considered me a writer.) That was very “validating” to me. I find I can think of myself as a writer now, and maybe it will roll off my tongue effortlessly one day. I am about to accept a full time position, and additional teaching duties, and I am saddened that my writing time will be reduced. I need to write. As far as joining a writers’ group – an enthusiastic “yes”. I have met some very interesting people. The one professor who encourages me the most told me to think like a writer, act like a writer, and hang out with writers. If there isn’t one in your area, contact a local college writing department and see (I’d be surprised if there isn’t one). I was emcee this month for our group – and quite unlike last month, I was very at ease this time. Maybe next time I’ll introduce myself as a writer. Thank you very much, K8. Congratulations on your full-time position! I am sorry your writing time will be reduced. Hopefully, you’ll still be able to share your creations with us once or twice a month, perhaps? I appreciate your vote of confidence with calling me a writer. I completely agree, someone outside the family declaring you as a writer is more validating than someone inside the family. I will look into a writer’s group. There is a university fairly close that offers writing courses during the summer. I’m not sure I have the time needed to take a course, though I may be able to find a group of sorts through those signing up for the course. Very neat that you emceed your recent writer’s group performance. I do hope you’ll read for them again, introducing yourself as a writer. Thank you for the cheers, MJ. I think we need a writers’ retreat weekend! How fun would that be?! My guess is a writers’ retreat would be wonderful. Where’s the middle for our blogging buddies? West Virginia? Indiana? Ohio? Virginia? Of course, you suggest this when you are about to start working full time. You’ll have weekends off, right? Yes, weekends off. I would certainly do a retreat (unless, of course, it is somewhere like Omaha, Nebraska in the dead of winter). I am spoiled by warmth and sunshine. Oh, let’s do it…please, please, please. I used to feel strange about calling myself a writer, too. It wasn’t my main source of income. I hadn’t received any awards or accolades. But now I think I’m not going to let someone else tell me who I am. I think if you’re passionate about it and you write regularly, you’re a writer. It’s wonderful that your boys share your enthusiasm. They, too, are writers! Yes, You ARE a writer. I think there’s a bucket load of writers just like you and me, who choke on the words, “I am a writer.” It’s almost like saying, “I have Fibromyalgia.” or “I have Alzheimer’s…or is it dementia, I forgot…” There is no pat definition of what constitutes a writer. Being published is the easy marker. But there are so many other forms of writing. I think that’s what is so cool about the blogosphere. True, there are bloggers whom I would NOT consider to be writers…but I have been pleasantly surprised to find how many truely gifted WRITERS are blogging. I even choke over admitting that I am a blogger. There is still a feeling of cynicism about blogging. We aren’t necessarily taken seriously and I think many of us have a difficult time taking ourselves seriously. How cool is it that your boys are mimicking what they see at home…their mom writing! Writing is a perfectly normal thing for them to do because you do it all the time. Keep it up! Linda, when I stumbled in claiming I was a writer, I uttered the word blog like it was a silly way to spend time. So, like you, I choke when I admit that I am a blogger. I appreciate your comment about how being published in an easy marker to identify one as a writer, though there are other forms of writing. Very true. And, as previously noted in other comments, if you write often then you are a writer. Not everyone can write – not everyone wants to write – not everyone is a writer. But me – I can, I do, and I am. Period. I hope my boys continue to observe … may they find themselves embracing the writer within them. Thank you for your thoughts, Linda. I appreciate your vote of confidence, too. I didn’t care a tick about publishing a book, but I love to write. Someone stole my idea which was to publish a book of letters. Along came blogs! Wonderful. I could not have created a better platform! Good for you. It took me so long to be able to say I was a writer with any degree of confidence, but I realized I couldn’t wait around for somebody to give me an official ‘writer’ plaque, although I wouldn’t mind having one if somebody wanted to get me a gift. Thanks, Paul. By now, with all your accomplishments (and screenplays), I hope you have found the confidence to claim yourself as a writer. For the record, I would not be surprised to find your smoking jacket framed and hanging in a museum of writers one day. The plaque would read simply: Paul Johnson (aka The Good Greatsby): Wonderful Writer, Husband, Father and best friend to Todd. Great story..I think someone..something is trying to show you that you are writer. I have felt the same way in the past..But I feel like I have been given a gift to use and I may no be the most skilled but I have the ideas and the creativity to get me to where my dreams will take me. I posted on Darlas (she’s a maineiac) post earlier.. Dream the Dream..Believe the dream..and live the Dream. Excellent words, Fraha – dream the dream, believe the dream and live the dream. Thank you for stopping by and leaving a note. I welcome you to the neighborhood. Hope to see you again. Your Gravatar image is adorable. Thank you for your kind words, I’ll be by to check out your blog! Welcome to my neighborhood, Ms. Vix! I appreciate your kind words, thank you. You are most definitely a writer, and I loved reading your words. I’m glad I had a chance to stumble upon your blog, it’s fantastic. Looking forward to reading more! Thank you for stumbling upon my blog, Dounia. I appreciate you taking the time to comment, too. Hope to see you again. This is an interesting conversation. I think we all grapple with this question. I’ve always thought of it as “I like to write” and perhaps I am even good at it, but I am not a writer… a writer being someone whose “job” it is to write. But that is likely not the best way to look at it and from the comments I am in the minority. It is fascinating though, how universal this questioning of our label as writers is amongst the blogging world. I think I would consider myself more of a writer if I had something published to show for it. I don’t disagree with what you’ve said. However, blogging provides me with the opportunity to write and put myself out for others to see, without having to look for agents, meet deadlines, etc. By blogging, I keep it fun. The instant I tried to get a book deal, I am afraid my hobby would turn into work. Though – if there are any agents impressed with my writing and looking to offer me a book deal …. I’m ready! Thanks for stopping by, Steve. Welcome to my neighborhood! Secondly, congratulations to you! I am a mom, so I know that the children’s congratulations should come first. However, yours should be immediately after, for you are the one who shines in this story. I am so happy that you feel you are a writer. It is a hard journey, though, to get to that point. You are right. It can be scary to say the words aloud. As if someone might call you a fraud. I hope, though, that you will continue on this journey, under this well deserved title. There’s a quote on their site too, that speaks volumes, “Discipline is your obligation to the gift.” It is good that you write. It is good that you continue to write, and I hope you always will. Thank you very much, Happy Mom. First, I welcome you to the neighborhood. I am very happy to see you, and I appreciate you taking the time to leave a note. Second, thank you very much for your kind words and words of inspiration. I will certainly check out the website you provided. I’ve yet to join a writer’s group, though I plan on doing that soon. At this point, I may not get involved in one until January. Nonetheless, it is on my list of things to do – sooner rather than later. Thank you again. I appreciate your time. Thanks for visiting and commenting. Welcome to the neighborhood! Now, I am off to read a post about socks…. Will it make any sense if i will consider myself as a writer now. I am waiting for people to say me that. After that i can proudly say yes, now I am a writer!! Of course you are. Write on! I don’t know why we’re so hard on ourselves. If someone plays the violin, we don’t say “Oh, you’re not a musician because you don’t play concerts.” Yet, we feel we must be published or win awards or get paid to call ourselves writers. That’s just nuts. Thank you, Margaret. Writing this post was liberating, while the comments continue to reassure and encourage me. Your point about the violin is dead on, too. My nephew is a fantastic guitarist. I most certainly call him a musician, yet he mainly plays for fun. Thank you for visiting and leaving a note.